Accommodation often takes up the biggest part of the budget on a cycle tour once you’re reached the country you’re going to ride in. The cheapest option (free!) is either using hospitality networks or wild camping. After that, camping on official sites is generally the cheapest paid-for option – although a room in a basic guesthouse out of high season can sometimes be as cheap as a fancier campsite in the summer and it means you have to carry far less gear. After that, ‘rooms‘ can range from a bed in a hostel dorm to en-suite luxury in a renovated medieval manor, with prices to match. Scroll down for some general information on the different options available or follow the links for more detailed listings. Camping is generally a very cheap option in Portugal. 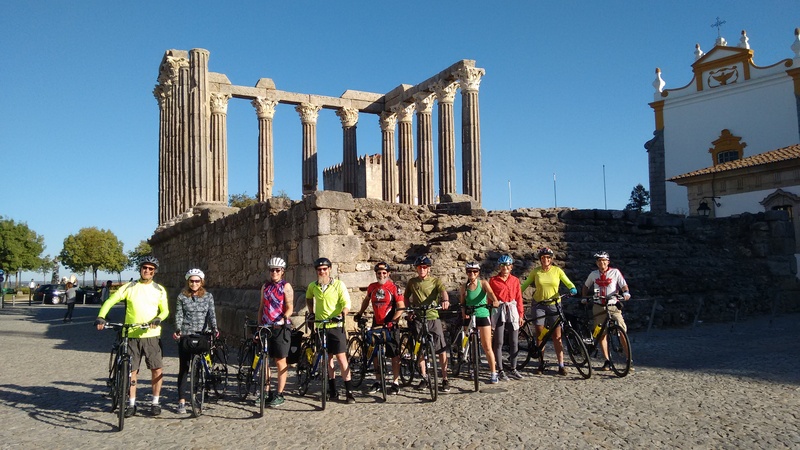 For one person, a bike and a small tent you can often expect to pay below €10 – and sometimes half that – even in high season. Resort campsites, particularly in summer, can cost a lot more. Plus you may be asked to book for a minimum stay of three days or more. A lot of coastal campsites are also absolutely packed in the summer when it feels like 90% of the Portuguese population decamps to the seaside. 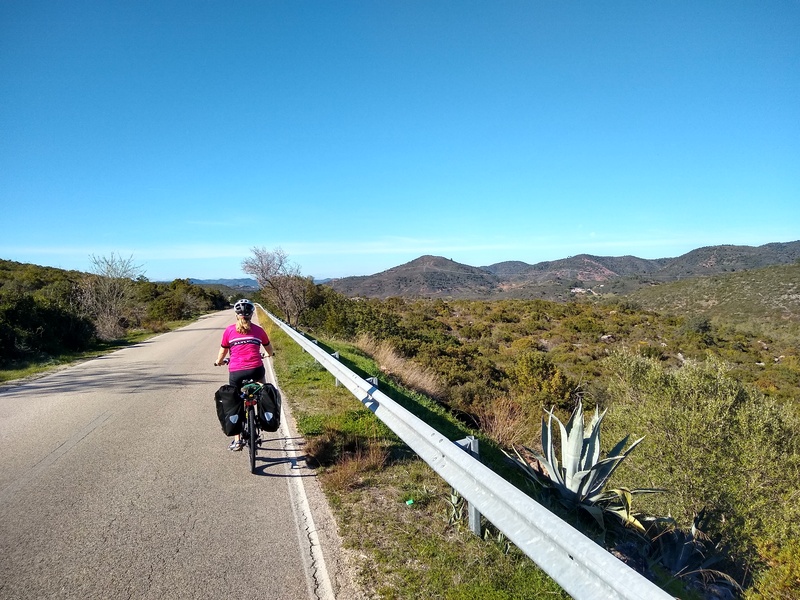 You may also find campsites near the beach are aimed at families with caravans (often on permanent pitches) and provide very little space for touring cyclists (or anyone) with tents. The best deals are generally at municipal sites (camping municipal) and at smaller, inland sites. For our growing list of sites, see the Campsites page – and please get in touch if you know of any other sites I should list or have any comments on those already mentioned. 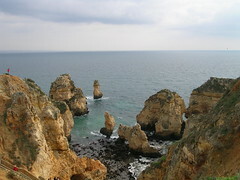 Wild camping is generally not a problem in Portugal. 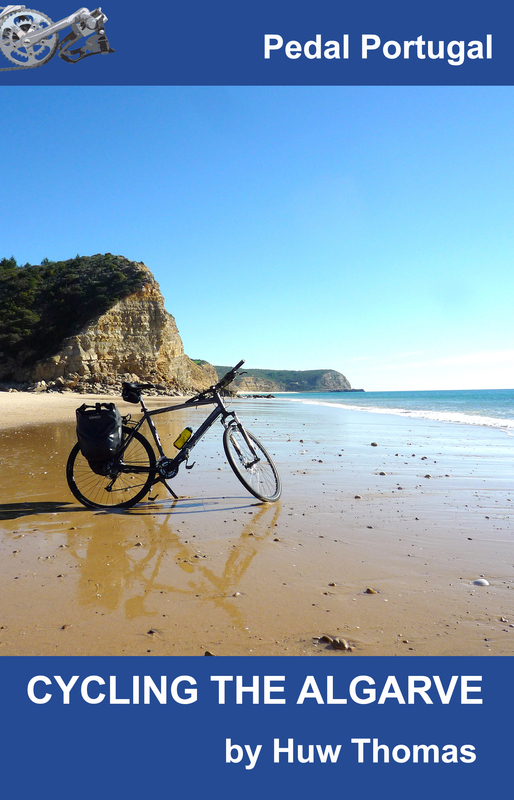 Whether it’s an isolated beach or abandoned farm, finding a place to tuck yourself, bike and tent out of sight is not difficult to do. I’m unsure what the law is but many people do it and few Portuguese will bat an eyelid – although I have heard rumours of tyres being slashed in places where swarms of camper vans and motorhomes overrun clifftop sites and outstay their welcome, sometimes parking up for months on end in the winter. However, that kind of situation (if it’s even true) is probably a rare exception and most wild camping cyclists will be looking for somewhere quiet and isolated. I know from other cyclists who have done it that if you can manage a bit of basic Portuguese – “posso acampar nesta terra por uma noite?” – most farmers/landowners will not object to you pitching a tent for a night and you’ll be able to sleep better knowing that no one is going to come and turf you off in the wee hours. 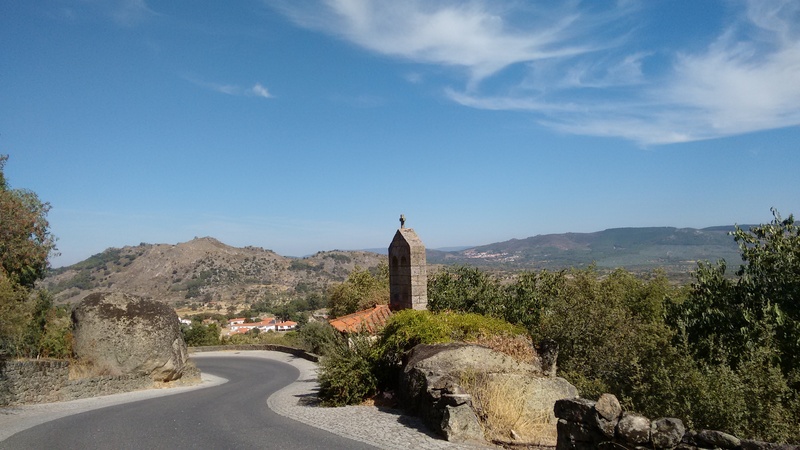 Accommodation in Portugal is generally (very) cheap compared with other European countries – particularly in smaller towns away from the main tourist areas. A double room in a ‘pensao‘ or small hotel will often cost around €30-40 – and normally includes breakfast. You won’t get anything fancy but the water will be hot and it should be clean and comfortable enough after a day in the saddle. Breakfast may just be a hot drink (coffee or tea) and some bread rolls with ham and/or cheese, butter and jam. Sometimes you may get lucky and discover a more extensive buffet that includes fruit and cereal. It’s possible to get rooms even cheaper – don’t be afraid to look hesitant or start to walk away, the price might drop further. Check out our Hotels, Guest Houses Etc. page for links to accommodation in specific towns – listings are in alphabetical order by region and include everything from hotels to guesthouses and self-catering holiday apartments. When looking for accommodation, sites like TripAdvisor are okay for the bigger, more switched-on hotels but many places in Portugal don’t even have a website, let alone a listing so are hard to book in advance. Tourist information offices can be helpful but service and opening hours can be variable. You can also find rooms by looking for signs advertising ‘quartos’ (literally ‘rooms’) – or asking in a cafe or restaurant. On a recent visit to Portugal, we picked up some good deals using booking.com – including a last minute deal on a double room in Sagres at a hotel with pool, plus breakfast for €24. These are definitely the cheapest way to travel and get a roof over your head. Warmshowers: describes itself as “a free worldwide hospitality exchange for touring cyclists”. 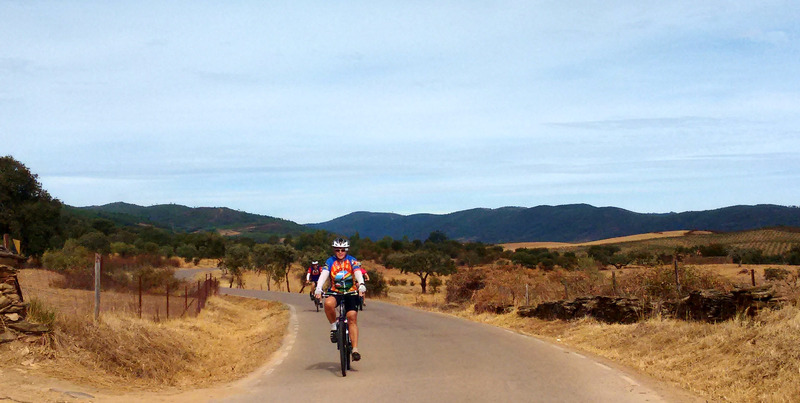 We’ve used it both to stay with people in several countries and to host visiting cyclists. This is a great way not only to keep your costs down by getting a free bed (plus a shower and often a meal) but also of meeting fellow cyclists. CouchSurfing: Never used this but it’s another internet-based hospitality network. Not only for cyclists and lots of people swear by it.